CJ14. 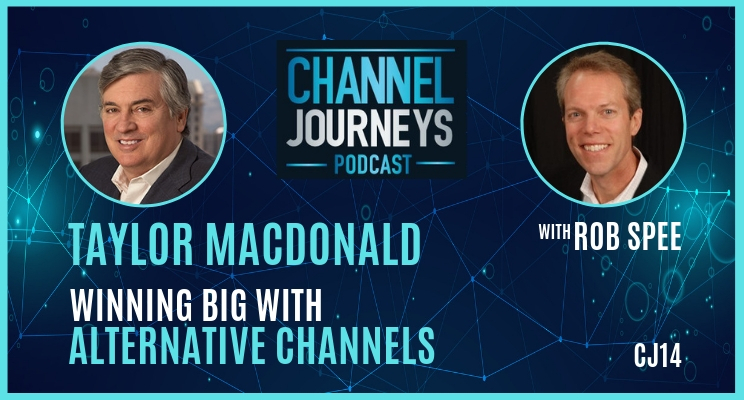 This episode features a top channel chief, Taylor Macdonald, who is SVP of Channel Sales at Sage Intacct. Taylor shares a wealth of learning and knowledge in this podcast. You’ll learn how he is successful in driving rapid sales growth of their SaaS accounting software using an alternative channel of accounting firms. Taylor describes what many vendors are doing wrong and what a best-in-class partner program and philosophy, that he calls “Channel 3.0” , looks like. He provides a long list of ways you can catapult your channel sales. It all boils down to focusing on one singular priority; making your partners successful. Taylor uses alternative channels to find partners who really understand accounting and truly understand the customers’ business and accounting challenges. Expect to spend more time on sales and marketing support. Partners do not like programs with tiers and get tired of spiffs and incentives. Instead, they want a program that rewards all partners equally. Be selective in who you allow into your program. Don’t be afraid to ask more of them, as long as you’re providing more. And weed out the bottom performers every year. If you believe your number one goal is to make your partners successful, you have to ask if your organization is aligned to that goal. [4:30] Success Tip: Having a channel person in the office is never a good thing. [5:00] Joined Intacct in 2010 to run channels as employee 125. Acquired by Sage in 2017 at 10x revenue. Started channel from scratch and today it represents 50% of all new business. [6:15] Has a hybrid channel strategy with a direct sales team and channel sales team. Intacct product is 100% cloud, a SaaS multi-tenant solution. [7:30] Became a Sage partner in late 1980s when he launched an accounting software VAR firm. He then became Sage’s largest partner in the world for 7 years in a row. Taylor grew the business to 30+ people then sold the firm and joined Sage to run their North America channels. [10:00] When joined Intacct, they had already made some unsuccessful attempts to launch a channel. Taylor had the opportunity to create a cloud channel program from scratch and look at all the things that on-prem partner programs had done wrong. [11:15] Spoke with potential and former partners to find out what they didn’t like about their vendor’s partner programs, what were they looking for in a true partnership, what made them waste their time, what caused them to feel uncomfortable with the relationship. [12:15] Learned, for example, that partners hate the program tiers. Want a program that rewards all partners the same. Worked to create a program that partners would immediately know was different, that didn’t have tiers. But also decided to de-authorize the bottom 10% of partners every year. As a result, he could put greater focus on successful partners who are investing in the business. [13:15] Partners get tired of games around incentives and spiffs. Goes to partners with a bucket of marketing funds available if partner will put in half for activities to generate new business. [14:30] Provides margins to partner for life of the customer. Gives partner opportunity to build large long-term annuity streams as they grow the account. Partner earns same margin on renewals as new subscription. [16:30] Mistake that Intacct made prior to Taylor joining was going to traditional partners like MSPs and ISVs without experience selling accounting software. In most cases, the only people who are successful selling accounting software are people who already sell accounting software and understand the customers’ business and accounting challenges. [18:30] CPA firms are making jump back into selling technology and becoming great partners. Got into technology in early 1990s when accounting software first became popular but exited when they couldn’t sustain growth of software sales. Companies don’t change their accounting software very often. Came back when cloud accounting software became available. [20:00] What people call the alternative channel or shadow channel is what Taylor has been using for decades. The beauty of the CPA channel is that many firms are large, scalable, cover multiple regions. [21:50] Difference in managing alternative channels like CPA firms vs. VAR is that the CPA firms are less entrepreneurial, more conservative, less likely to invest ahead of revenue. CPA firms have advantage of built-in client base, scalability, and accounting knowledge. Spends a lot more time on sales and marketing than they would with a VAR partner. [24:30] Sees all types of partners building vertically-focused IP on top of the Sage Intacct platform. [25:00] Came up with term “Channel 3.0” as a philosophy and a way to express brand new way of thinking and create a partner program that fostered a true trust-based partnership. Has a small channel with an annual partner fee, limits number of partners they bring on board, provide high-level of enablement and support. Limits number of partners in a geography to minimize conflict. Partners sell on their own paper, so they own the customer, they own the renewal, they own support. [27:00] Charging a small partner fee (under $10,000) weeds out partners who aren’t serious and don’t have ability to succeed. With fee, they get unlimited training, support, marketing assistance, etc. etc. [28:45] Partners don’t ask enough of us, and we don’t ask enough of partners. For example, when a partner asks for a discount to win a deal, requires that partner follows the Sage Intacct sales methodology. Know that by following methodology, they win 70%+ of the time. When they spend the time doing discovery and provide a summary of findings document to the decision maker the Sage Intacct way, they separate themselves from the competition and double the close rate. [31:00] The enablement part of on-boarding has a complete plan with progress report card, getting partner to self-sufficiency in 90 to 100 days. [33:00] Taylor’s Channel Executives are almost all former partners in the industry. Have been owners, sales people, consultants. They are respected, knowledgeable, effective in their single goal of making the partner successful. [36:00] Attributes his success to being a former partner, having great mentors, and being very curious and always learning. Need to continuously grow, evolve, re-invent how you do things. [38:00] If you believe your number one goal is to make your partners successful, you have to then ask if your organization is aligned to that goal. That alignment must be earned and maintained, but also needs agreement at the board level. [39:00] There’s a direct correlation between percentage of services done by partners and the success of the channel. [43:00] Taylor is passionate about hard work, being successful, and his family. And he’s been name the top 100 most successful people in accounting for past 15 years. 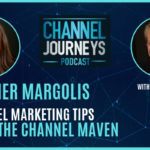 Don’t forget to subscribe to Channel Journeys to be notified of each new episode.